How Do Phones Become Flexible? Imagine having a truly flexible phone. Not one that warps accidentally in the warm pocket of your skinny jeans, but one that you can bend on purpose. Perhaps you want to curl your device around your wrist, or fold it in half to fit into a purse. You might think this a thing of the far-distant future (right alongside hover cars and restaurants on Mars), but not necessarily. With flexible technology advancing at such a rapid rate, we might even see this on the market in the next few years. 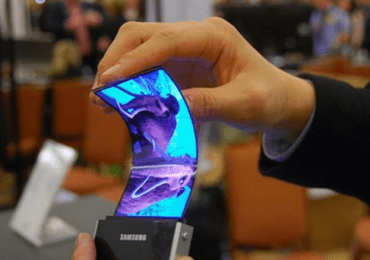 According to Indro Mukerjee, CEO of Plastic Logic, ‘flexible electronics is a reality, already proven through the development and manufacture of plastic, bendable displays and sensors…’ And Samsung is proving this reality: at the 2014 International Consumer Electronics Show (CES), they showcased their first flexible AMOLED display. As they demonstrate in their promo video for the event, the display can fold completely in half, making a unique phone-tablet hybrid. 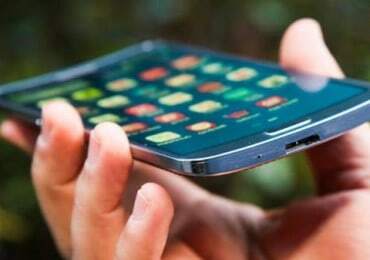 Samsung says they will release flexible smartphones in 2015, and the question that is sure to follow: but how? And why should we care? Let’s go over a very basic run-down of the science behind the magic. One important acronym you need to keep in mind when discussing flexible tech is AMOLED, or ‘active-matrix organic light-emitting diode.’ Used in mobile devices and televisions, an OLED display is a thin film with electrodes at either side that, when applied with an electric current, emits light. An AMOLED display has an added layer of semiconducting film that allows for faster activation of each pixel. AMOLED displays are ideal for larger screens, are able to portray highly saturated colours, and have a great contrast (owing to the fact that the screen light comes from individual pixels rather than one shared backlight). But the most important advantage of an AMOLED screen is that it can be made flexible if manufactured on plastic, bendable glass, or metal. But why should the average consumer care about flexible tech? Simply put: it will revolutionise mobile devices. Imagine not having to worry about shattering your phone if you drop it or being able to roll it up to store in your bag. The current trend in flexible tech available for consumers today is curved displays on TVs and smartphones, like the Samsung Galaxy Round. These curved devices are more ergonomic and offer better solo viewing for video content. It may seem like a very subtle change, but having these curved displays are just the first step. If you think back to where phones were five years ago, the comparisons are incredible, and we have plenty to look forward to, as we anticipate truly flexible smartphones.